Sign in to Retirement Online. It’s a convenient and secure way to review your records for personal details, contact information, designated beneficiaries and more. In many cases, you can use Retirement Online to make changes instead of sending forms through the mail or calling NYSLRS. Review your Member Annual Statement (MAS). Each summer, your MAS offers an overview of your retirement account. Check it over carefully to make sure your date of birth, date of membership, service credit, earnings and other details are correct. When your mailing address changes. This is especially important if you leave public service before you’re eligible for retirement. With your correct address on file, we’ll be able to keep you informed about your benefits. The fastest and easiest way to update your address is to sign in to Retirement Online and make the change, or you can send us a completed Change of Address form (RS5512), though this process will take longer. When you find a date-of-birth error. If your date of birth is wrong on any paperwork that we send you, we need to know. Please send us a photocopy of documentation showing your correct date of birth (such as a copy of your birth certificate). You can attach it to an email using our secure contact form, or write to our Member and Employer Services Bureau Registration Unit at 110 State Street, 5th Floor, Albany NY 12244-0001. When you change your name. You can change your name in our records by submitting a Name Change Notice form (RS5483). 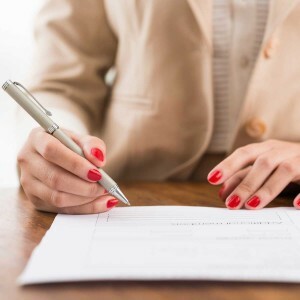 If a court order was necessary for your name change, you’ll need to include a copy of the order. When you want to select or change your beneficiaries. Sign in to Retirement Online and click Update My Beneficiaries. Retirement Online is the fastest way to get the job done. But, you can also complete a Designation of Beneficiary form (RS5127) and send it to us. For more information about your obligations as a NYSLRS member, check out our Membership in a Nutshell publication. This entry was posted in General News, Members, Retirees and tagged beneficiary, beneficiary change, birth certificate, change of address, date of birth, ERS, Information is the Key, know your benefits, mailing address change, members, Membership in a Nutshell, name change, New Members, New York State & Local Retirement System, NYSLRS, NYSLRS Retirees, PFRS, Preparing to Retire, retirement, Retirement Online, retirement planning on January 10, 2018 by NYSLRS.